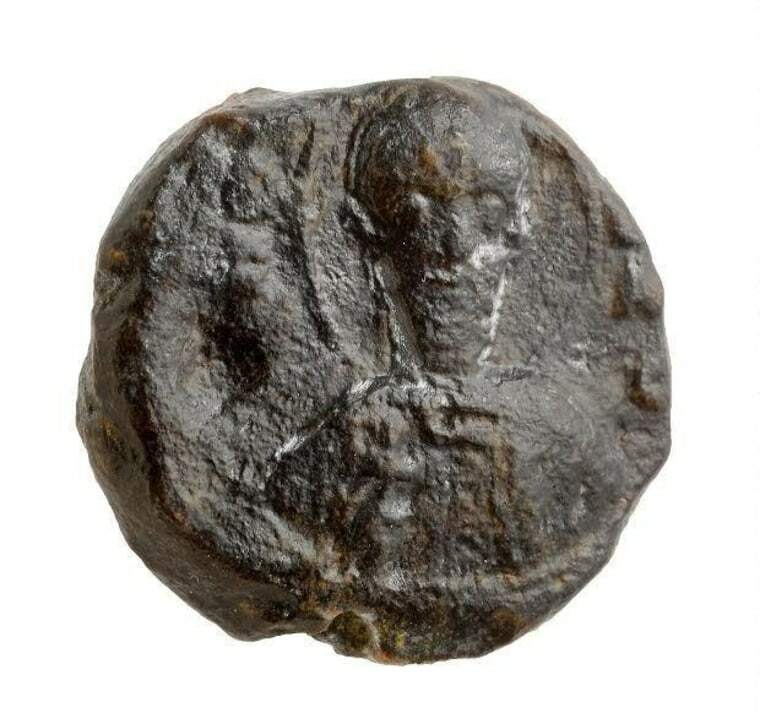 A rare Crusade-era lead seal used to secure a letter was uncovered in an ancient farmstead in Jerusalem, the Israel Antiquities Authority announced Tuesday. The 800-year-old seal was probably once fixed to a document delivered to the farm from a sprawling cliffside monastery in the Judean Desert that was founded by St. Sabas ("Mar Saba" in Aramaic) and once housed hundreds of monks. This type of ancient seal was also known as a bulla in Latin. It consisted of two blank lead disks that would have been hammered together with a string between them. Opening the letter would cause obvious damage to the bulla, which was intended to discourage unauthorized people from breaking the seal. One side of the seal bears the image of the bearded Byzantine-era saint. Sabas is wearing a himation (essentially a Greek version of a toga), brandishing a cross in his right hand and perhaps holding a copy of the gospel in his left hand. The seal was uncovered during excavations in 2012 in southwestern Jerusalem's Bayit VeGan quarter. The farm site was established during the Byzantine period (5th to 6th centuries) and resettled during the Crusader period (11th–12th centuries). A document in the archives of the Church of the Holy Sepulcher in Jerusalem refers to a farming settlement known as Thora that was sold to the Mar Saba monastery in 1163–1164.